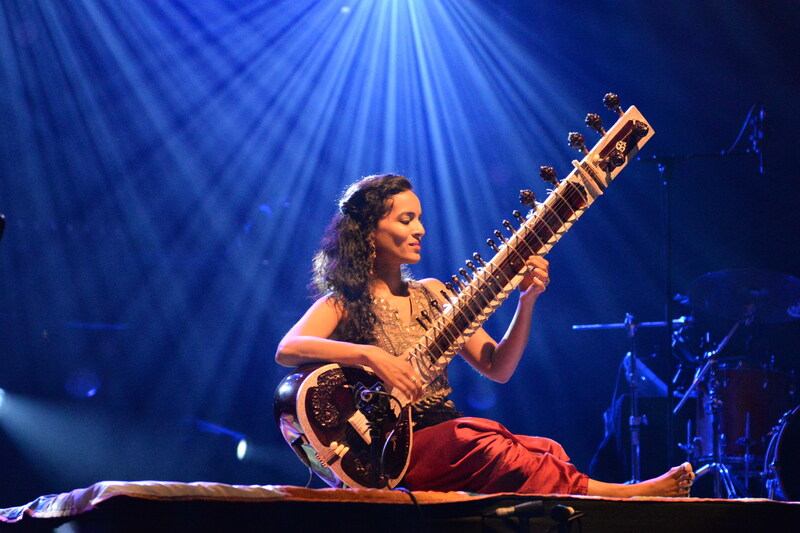 Again our potpourri of intriguing events draws from all performance levels and all walks of life, a reflection of the burgeoning variety and cultural interest in this once-sleepy city on the Wide Missouri. This is not a comprehensive list by any means, but is instead designed to invite your own explorations into the riches of the “new” Kansas City. 16: Harriman-Jewell Series; Mitsuko Uchida, piano; One of the most extraordinary pianists of our time, and a leading interpreter of 18th- and early-19th-century music, plays three of Schubert’s most challenging sonatas. Folly Theater. Kauffman Center. 816-415-5025 or hjseries.org. 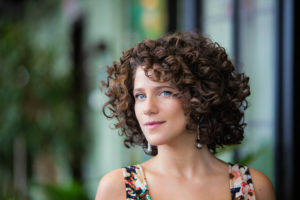 17: Folly Jazz Series; Cyrille Aimée; Dazzling French-Canadian vocalist helps the Series celebrate its 35th anniversary season. Folly Theater. 816-474-4444 or follytheater.org. 23: Friday Concerts at Schmitt’s; John Hord, piano; One of the KC area’s newest concert series, organized by Avguste Antonov at Schmitt Piano’s intimate in-house concert hall, offers a program called Dyads: pairs of contrasting, related compositions by Ligeti/Brahms, Schoenberg/Bach, Mozart/Crumb and Corigliano/Beethoven. Free admission. ALSO: March 16: Roberto Capocchi, guitar; The internationally-acclaimed artist performs solo classical favorites and more. 913-663-4756 or fcschmitts.wordpress.com. Also see schmittmusic.com/events. 23-March 10: MeltingPotKC; Single Black Female; One of the humblest of theater companies is also one of the edgiest and most interesting. In this two-woman show, a pair of African-American women explore the traumas and loves of their lives, as they battle stereotypes and their own pasts. ALSO: May 25-June 9: Ain’t No Such Thing as Midnight Black; Lewis J. Morrow’s play deals with one man’s attempt to fight violence in his community and form a new paradigm. Both are at Just Off Broadway Theatre. 816-226-8087 or kcmeltingpot.com. 24: Carlsen Center Presents; Complexions Contemporary Ballet; Always challenging, sleekly professional and deeply inspired, Dwight Rhoden’s company always astonishes. This program features Star Dust, a tribute to the music of David Bowie. Polsky Theatre. 913-469-4445 jccc.edu/carlsen-center-presents. March 1-18: Metropolitan Ensemble Theatre; The Caucasian Chalk Circle; Bertolt Brecht’s searing 20th-century masterpiece retells the tale of two mothers claiming the same child, and the tension that ensues. ALSO: June 14-24: The Unsinkable Molly Brown; With music and lyrics by Meredith Willson, this classic recounts the (slightly embellished) true-life story of a plucky woman and her husband, who “strike it rich” and become the definition of New Money in America. 816-569-3226 or metkc.org. 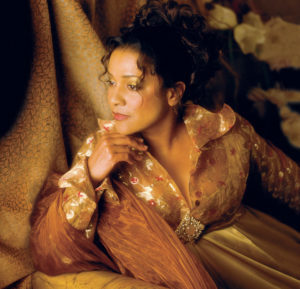 2: Harriman-Jewell Series; Kathleen Battle, soprano; One of the great singers of our lifetime is back in our midst, performing Underground Railroad—A Spiritual Journey, featuring spirituals, a choir and narration. Kauffman Center. 816-415-5025 or hjseries.org. 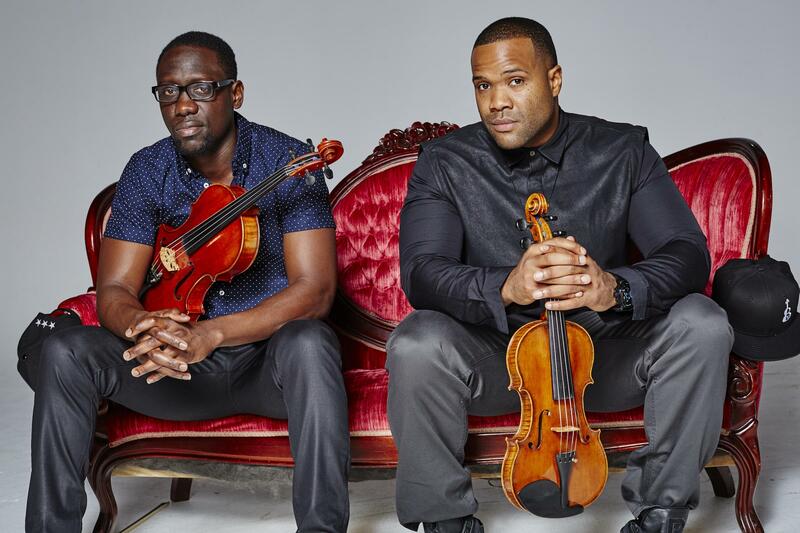 2 & 4: NAVO Arts; All Strings Attached; Navo Chamber Orchestra is made up of gifted international artists who reside among us, including the up-and-coming conductor and string performer Shah Sadikov. He is joined by violinist Véronique Mathieu, pianist Steven Spooner and others for a program of works you have probably never heard in the KC area, including Alfred Schnittke’s Piano Concerto (a 20th-century masterpiece), and Astor Piazzolla’s Four Seasons of Buenos Aires (a tango-flavored riff off Vivaldi’s classic). The program opens with the Adagietto from Mahler’s Fifth Symphony. Atonement Lutheran Church (March 2) and Lied Center Pavilion in Lawrence (March 4). See navoarts.com. 2-4: Owen/Cox Dance Group; Collective: Our Stories of Cancer (a collaboration with Gilda’s Club and poet Jen Harris); True-life stories of lives impacted by cancer are melded with music, poetry and dance. La Esquina. ALSO: June 9-10: Ludus Tonalis; Pianist Kairy Koshoeva plays Hindemith’s contrapuntal masterpiece live onstage, with dancers performing choreography by Jennifer Owen. White Hall. owencoxdance.org. 3-11: Lyric Opera; Rigoletto; Verdi’s tale of the court jester whose breaking heart urges him toward desperate measures is directed by David Gately and features Leo An, in his Lyric debut, in the title role. Kauffman Center. ALSO: April 28-May 6: Lyric Opera; The Barber of Seville; Baritone Jarrett Ott sings the title role in Michael Shell’s comically visionary production of Rossini’s masterpiece. Kauffman Center. 816-471-7344 or kcopera.org. 7-April 1: Unicorn Theatre; Informed Consent; Deborah Zoe Laufer’s fascinating drama of family ties, genetics, Alzheimer’s and all manner of things is directed by Darrin Sextro. 816-531-7529 or unicorntheatre.org. 9: Kansas City Jazz Orchestra; Lady Be Good—Celebrating Women in Jazz; March is Jazz Month and this excellent ensemble of KC talent celebrates it in style. Kauffman Center. 816-994-7222 or kcjazzorchestra.net. 16-18 and 23-25: Kansas City Symphony; Joyce DiDonato Sings Bernstein & Berlioz; and Yo-Yo Ma, Pines of Rome & Bernstein; In consecutive weekends, two of the world’s greatest living soloists help the Symphony celebrate the centennial of Leonard Bernstein’s birth. The latter concert also includes a world premiere by Chris Rogerson. Kauffman Center. 816-474-0400 or kcsymphony.org. 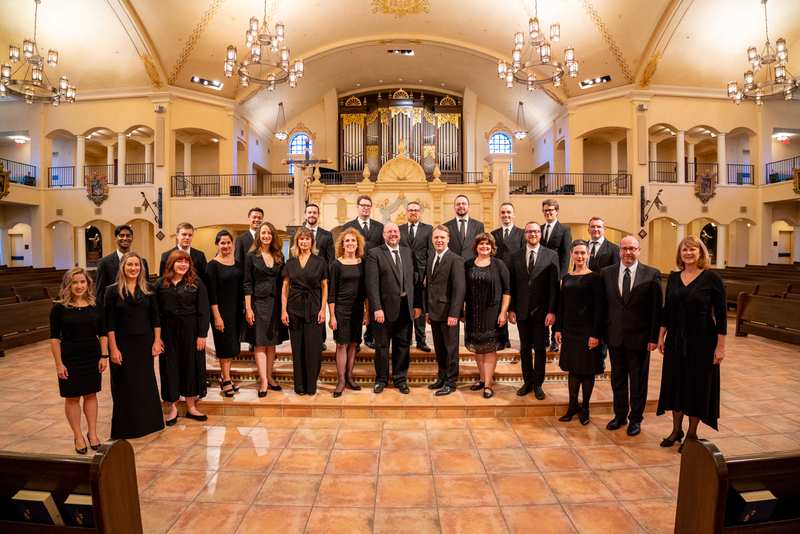 18 and 20: Kansas City Chorale; Food, Wine & the Music of France; Kansas City’s multiple Grammy Award-winning choir continues its “world tour” with music of Saint-Saëns, Ravel, Debussy and Bouzignac (Jubilate Deo). At the 1900 Building (3-18) and St. Paul’s Episcopal Church (3-20). ALSO: May 6 & 8: Music of the British Isles; This time the focus is on music from the British Isles: Elgar, Vaughan Williams, Parry and the Beatles. Country Club Christian Church (5-6) and St. Paul’s (5-8). 816-235-6222 or kcchorale.org. 23-April 15: KC Repertory Theatre: Sweeney Todd: The Demon Barber of Fleet Street; Stephen Sondheim’s most audacious musical, one of the most influential stage works of our time, features a “stylist from hell” who makes more than just nicks with his razor. Eric Rosen directs a top-drawer cast. Spencer Theatre. 816-235-2700 or kcrep.org. 6-8 and 13-15: Kansas City Ballet; Anniversary Dance Festival: Diamonds and The Man in Black; The Ballet celebrates 60 years with a two-weekend festival of wide-ranging choreography. The first program includes works by Balanchine (Diamonds) and Jirí Kylián), the second includes a world premiere by Andrea Schermoly and works by Stanton Welch and James Kudelka (the latter to music of Johnny Cash). Kauffman Center. 816-931-8993 or kcballet.org. 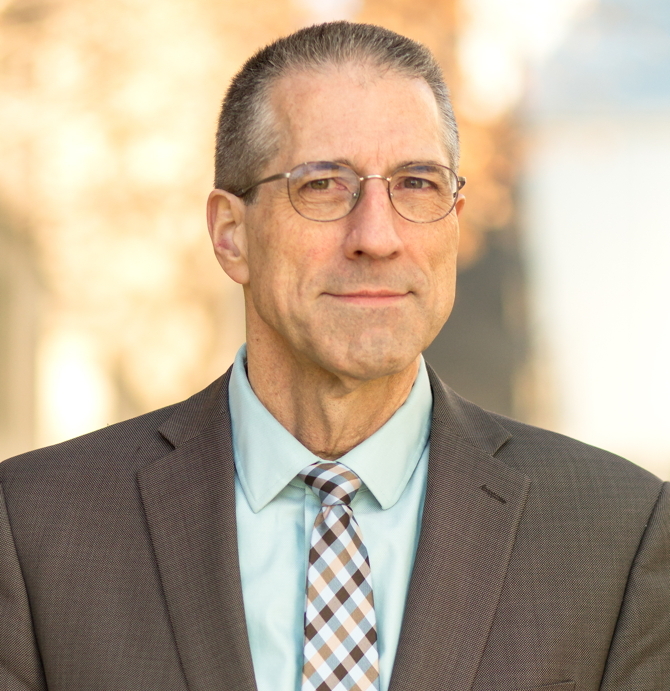 8: William Baker Festival Singers; 2018 Kenneth Babcock Memorial Masterworks Concert; This program features Mozart’s “Great” Mass and a world premiere by Ed Frazier Davis. Grace & Holy Trinity Cathedral. ALSO: May 6: 20th Anniversary Gala Concert and Reception; One of the most significant choral forces in KC concludes its 20th season with a gala program that features special guests Allegro Con Brio and others. St. Mary’s Episcopal Church. 913-403-9223 or festivalsingers.org. 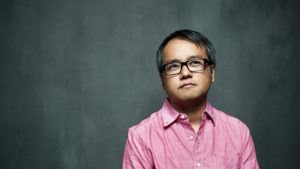 18-May 13: Unicorn Theatre: Vietgone; Playwright Qui Nguyen chronicles the real-life tale of his own parents’ meeting in an Arkansas center for Vietnamese refugees. A warm and wittily profane drama of love and life in a new land. 816-531-7529 or unicorntheatre.org. 19: Conservatory Artist Series; UMKC Jazz Night; Bobby Watson and Dan Thomas, the Conservatory’s Professors of Jazz Studies, lead a group of the program’s astonishingly brilliant young performers, in an annual showcase that always surprises. Folly Theatre. ALSO: April 26-28: Spring Dance; Students and faculty join forces for a powerhouse program (White Recital Hall); and May 1: Finale, Conservatory Orchestra and Choirs; Including Stravinsky’s monumental Symphony of Psalms (Kauffman Center). 816-235-6222 or conservatory.umkc.edu. 27: Folly Jazz Series: SFJAZZ Collective presents: The Music of Miles Davis and Original Compositions; One of the nation’s top professional ensembles pays tribute to the great, ever-enigmatic, American master. Folly Theater. 816-474-4444 or follytheater.org. 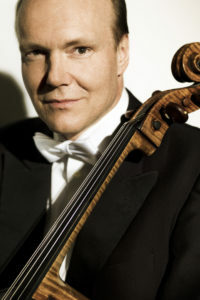 1: Park ICM 1900 Building Series; Truls Mørk and Behzod Abduraimov, cello and piano; One of the most highly regarded (and widely recorded) cellists of his generation joins KC’s own prize-winning pianist, Behzod, who now teaches at Park’s International Center for Music. 1900 Building. 816-221-4488 or 1900bldg.com. 5: KC Symphony Pops; Audra McDonald; With six Tony Awards and two Grammys, and a powerful personality that exudes excitement from the stage, Audra stands as one of the greatest talents Broadway has seen. Kauffman Center. 816-471-0400 or kcsymphony.org. 11-20: Kansas City Ballet; Peter Pan. J.M. Barrie’s classic tale is brought to the stage in world-premiere choreography by KCB Artistic Director Devon Carney and music by Carmon DeLeone. 816-831-8993 or kcballet.org. 20: KC Symphony Chorus; Duruflé’s Requiem; The Symphony Chorus takes to the limelight in this program, which also features music by Mark Hayes and Morten Lauridsen. Kauffman Center. 816-471-0400 or kcsymphony.org. 23-June 10: KC Actors Theatre; Skylight; David Hare’s Tony Award-winning play uses wit and intellect to tackle issues of class, social values and (of course) romance. H&R Block City Stage, Union Station. 816-235-6222 or kcactors.org. 31-June 24: Black Repertory Theatre of Kansas City; Memphis. Loosely based on a Memphis disc jockey in the ’50s, this musical by David Bryan (music) and Joe DiPietro (book and lyrics) won four Tony Awards in 2010, including that for Best Musical. Location TBA. 816-663-9966 or brtkc.org. 3: Kansas City Women’s Chorus: Showtime: Pride! Now presenting three concerts a season for the first time, this growing enterprise concludes its concert year with a program of Broadway tunes and other favorites, just in time for Pride Week. Polsky Theatre. kcwomenschorus.org. 8-July 8: Quality Hill Playhouse; Sinatra’s Songwriter: The Genius of Sammy Cahn; Our favorite revue theater, led by the ever-witty J. Kent Barnhart, concludes its 23rd season with a paean to one of the great tunesmiths of the American Songbook. 816-421-1700 or qualityhillplayhouse.com. 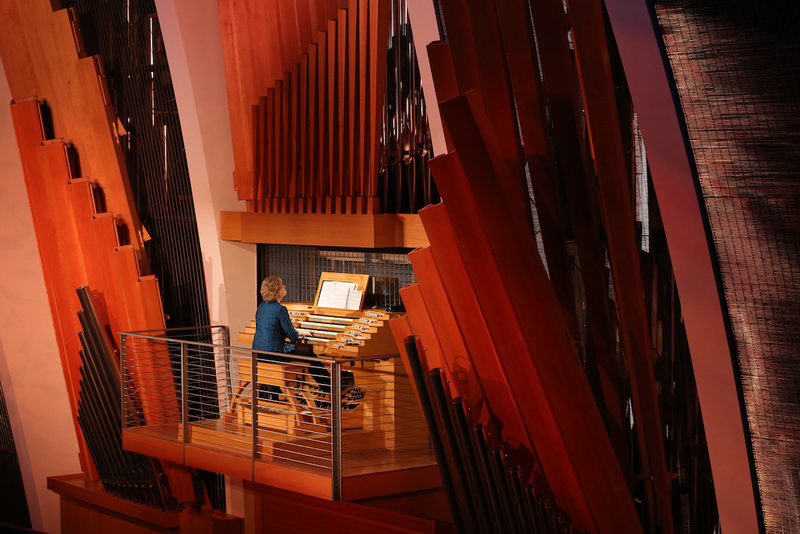 9-10: Heartland Men’s Chorus; Indivisible: Songs of Resistance and Remembrance; A new choral work We the Unknown receives its world premiere in this program of patriotism and protest. Folly Theater. 816-931-3338 or hmckc.org. 12-July 1: Heart of America Shakespeare Festival; Much Ado About Nothing. One of the bard’s most scintillating comedies seems a perfect follow-up to the heavy profundities of last season’s Hamlet. Southmoreland Park. (-531-7728 or kcshakes.org. 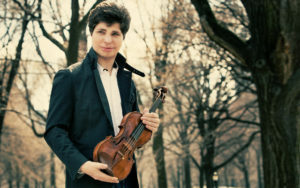 15-17: KC Symphony; Mendelssohn’s “Italian” & Haydn; In addition to the Haydn and the Mendelssohn, the Symphony plays the Cantus Arcticus by the late Finnish master Rautavaara and Thomas Adès “Concentric Paths,” with violinist Augustin Hadelich. 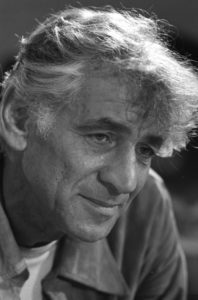 ALSO: June 22-24: “Fantastique” with Bernstein; The Symphony’s Bernstein celebration concludes with the Symphony No. 2 (“The Age of Anxiety”) featuring pianist Ran Dank. Kauffman Center. 816-471-0400 or kcsymphony.org. 16: Bach Aria Soloists & the Kansas City Chorale; Bach, Britten & Vaughan Williams; Two of KC’s most adventurous ensembles join forces for a program that includes cantatas of J.S. Bach. St. Paul’s Episcopal Church. 816-820-1473 or bachariasoloists.com. To reach Paul Horsley, performing arts editor, send email to paul@kcindependent.comor find him on Facebook (paul.horsley.501) or Twitter (@phorsleycritic).